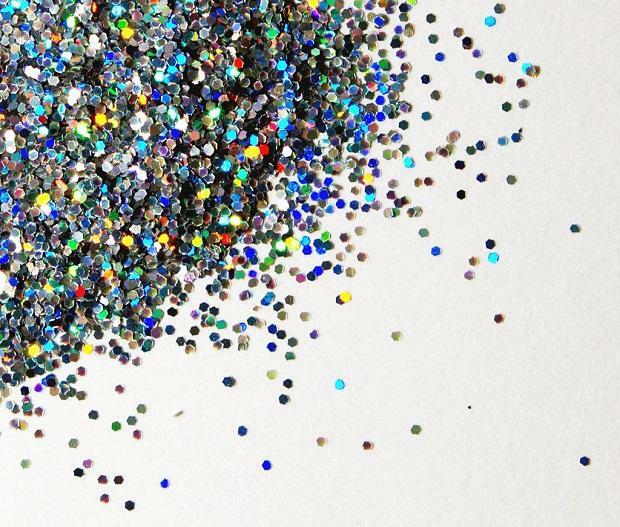 This week in "Thanks, Internet" ---the difficulty of getting drinks, the longest mixtape in the world, making enemies with glitter, the best Bowie GIF you'll ever see, and vintage McConaughey. - So excited about our lunch date! 12:30? - This is basically just a joke at this point, but I have this dumb meeting about records retention or something that got pushed back to one. You don't have to tell me that I'm mercury poisoning hooking up with the Crusades in the bathroom at trans fat's wedding to voter suppression, because I know. Ugh... sorry. Caribou makesbeautifulsongs, but this week he gifted us with 1,000 jams he had nothing to do with. As a thank-you to his fans, the Canadian electronic musician shared a YouTube playlist entitled "The Longest Mixtape"---a collection of jams that have inspired him over the years, from Kanye to NinaSimone to "Les Fleurs" by Minnie Riperton, which kicks off the marathon. Caribou recommends you shuffle. English illustrator Helen Greenis particularly skilled at capturing the likeness of popstars. She does Gaga,Lordeand, to celebrate his recent birthday, made the greatestDavid BowieGIF we'll ever know. The year is young, but the animated GIF-loving internetwill have to try pretty hard to top this one. McConaughey didn't really get to be McConaughey at the Golden Globesdue to time constraints, but the Criterion Collectionreminded us of the Woodersonwe know and love this week when they released a decent-quality version of his audition tape from Dazed and Confused. In it, the first-time actor looks like he was born to play the unforgettable character in Richard Linklater's 90s classic. Maybe there's enough tape to film a sequel to Boyhood? McConahood?